Are you tickled pink? Feeling green with envy? So angry that you see red? These familiar phrases describe our emotions and demonstrate that color is more than just paint on a wall; color sways our thinking and influences our actions. Every day, we express ourselves through the colors we choose to surround ourselves with. That’s why designers use color to attract, emphasize and organize. And why every internal communicator needs to consider color as a valuable tool to attract and engage employees. Need help picking a paint color for the living room? Check out Benjamin Moore’s color of the year: caliente. Now that’s intense! Want to know what color will be trending in fashion for 2018? Look no further than POPSUGAR for the focus on lavender and mint! Interested in what color will be all the rage in the new year? Get inspired by ultra violet, Pantone’s color of the year. Be emotional to connect: Mimic major brands that build their identities around the feelings that colors evoke: Coca-Cola’s red says youth, spirit and energy; IBM’s blue suggests trust, intelligence and dependability; McDonald’s yellow implies cheerfulness, warmth and optimism. Get out the message of your environmental initiative with a vivid, spring green that connects with the nature lover in everyone. Go bold to attract: Whether your workplace signage is digital or printed, grab employees’ attention when they leave their desks by using dramatic colors. Generate interest in your facility’s upcoming employee event by creating signage with deep purple icons and titles. Use a range of colors to organize: Dip into your brand’s secondary palette for additional color coding choices. Since employees are bombarded with communication, they are reading less and scanning more. So, choose blue headlines, green subheads and purple callouts to guide the reader through the new employee handbook. Stay bright to emphasize: Benefits communication is full of detailed information that is complex and time-sensitive. Announcing the date of open enrollment? Choose an intense orange to draw employees to the copy block and they will know when to act! You don’t need to be a designer to be sensitive to color. Colors instantaneously convey meanings and messages without words. 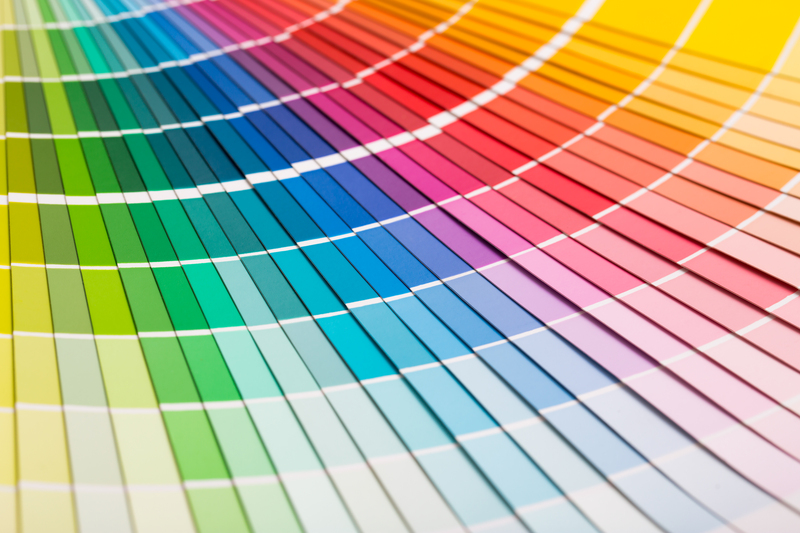 Understanding the power of color is a key to improving employee communication. Feeling a little blue today? Put on a bright red scarf and get energized!